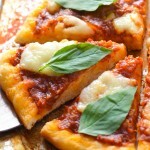 Learn how to make pizza at home step by step! 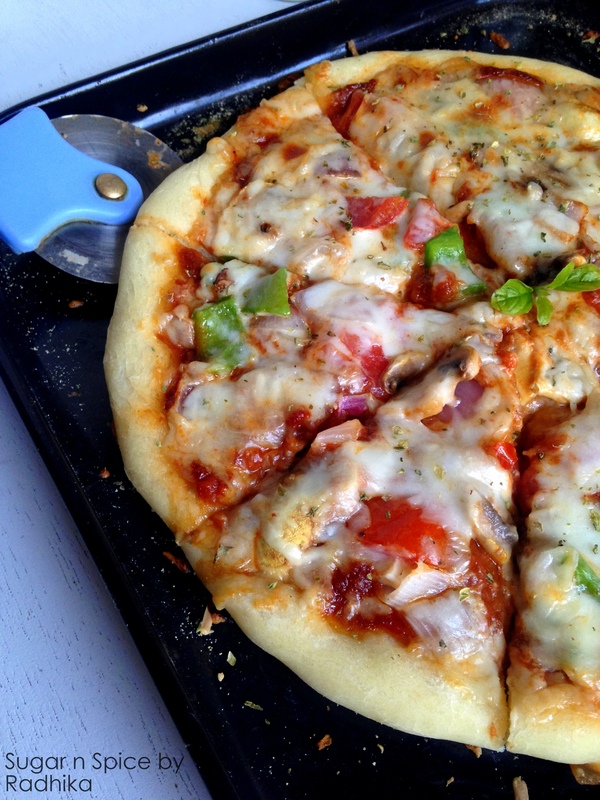 This pizza recipe is fool proof and so easy, you won’t order Domino’s ever! I love pizzas and who doesn’t, they are one of man’s finest creations ! Trust me, I love pizzas so much that I’m not even finicky about the quality, I devour anything and everything that closely resembles one. 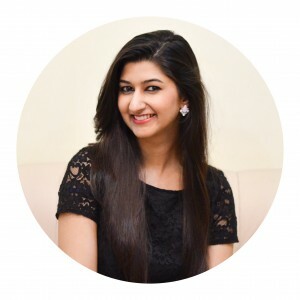 I’ve always been a regular at my neighborhood Domino’s and Pizza Hut but now that I’m growing older, I’m getting wiser :p My food choices have started changing and I no longer enjoy eating food from food chains and would prefer to eat something made with quality ingredients at home or a nice restaurant. Of course its not feasible to eat at an expensive restaurant everyday, so I bring you high end restaurant quality Veggie Pizza! Before you run away and switch tabs on your phone or computer, just read the recipe because its actually really easy. 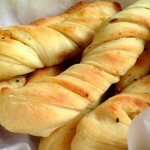 The dough is made of yeast which would frighten a lot of people but yeast isn’t actually that tricky. As long as you give it the perfect temperature of water and a little sugar to munch on, it will happily wake up and magically make your bread rise. I’ve become a bread maniac after understanding this and I think I’ve finally got something to take my mind off cakes. If you still think you can’t make pizza answer a few question- Do you have hands? Can you knead dough? Can you operate an oven without burning yourself and the food? Do you have a timer to help you in keeping tab of the time? 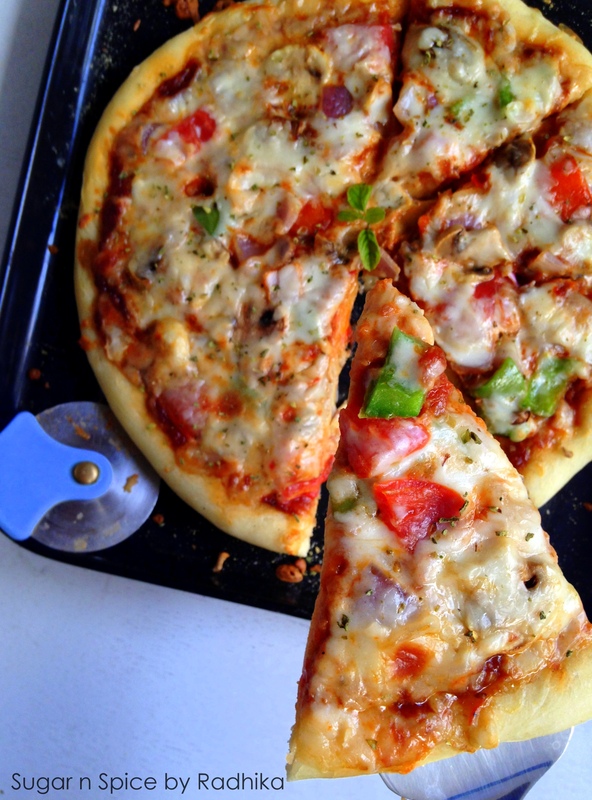 If your answer is yes to all these questions then you can make pizza at home with ease, if its no.. you can still do it with a little attention to the recipe. 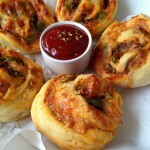 This pizza dough recipe is actually fool proof and you don’t need any fancy ingredients for it. 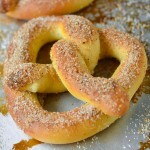 All you need is White all purpose flour, salt, olive oil, salt, sugar, warm water and the main ingredient- YEAST! 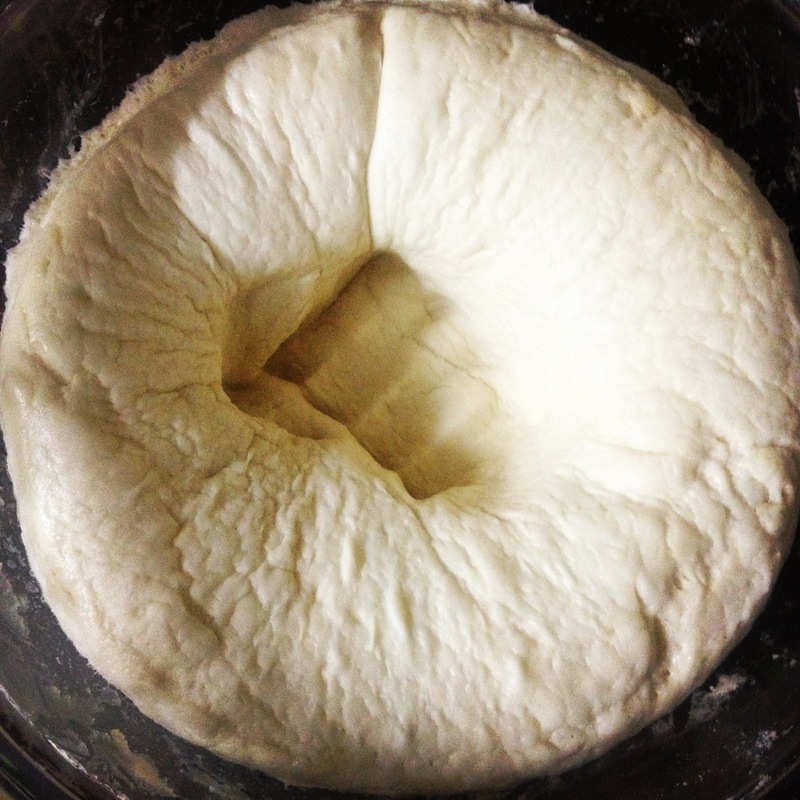 Get a high quality yeast to avoid disappointment later when your dough won’t rise or when your pizza won’t be fluffy! I use Blue Bird Active dry yeast, which by far is the best one I’ve used and works perfectly every time. Once the dough is done, the best part begins. Dressing up your pizza ! You can go crazy with the toppings. 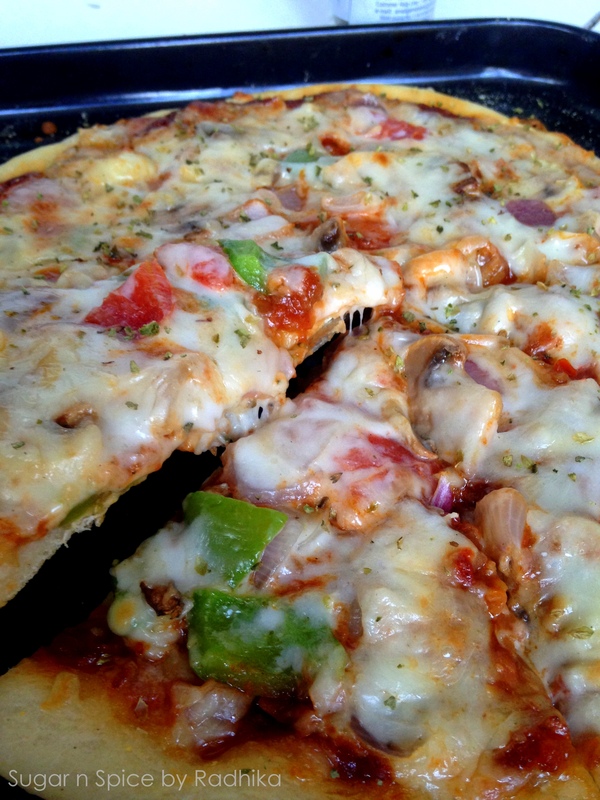 I did a classic veggie pizza with capsicum, onions, mushrooms and tomatoes. You can choose from a range of toppings from all cheese to chicken to pepperoni. 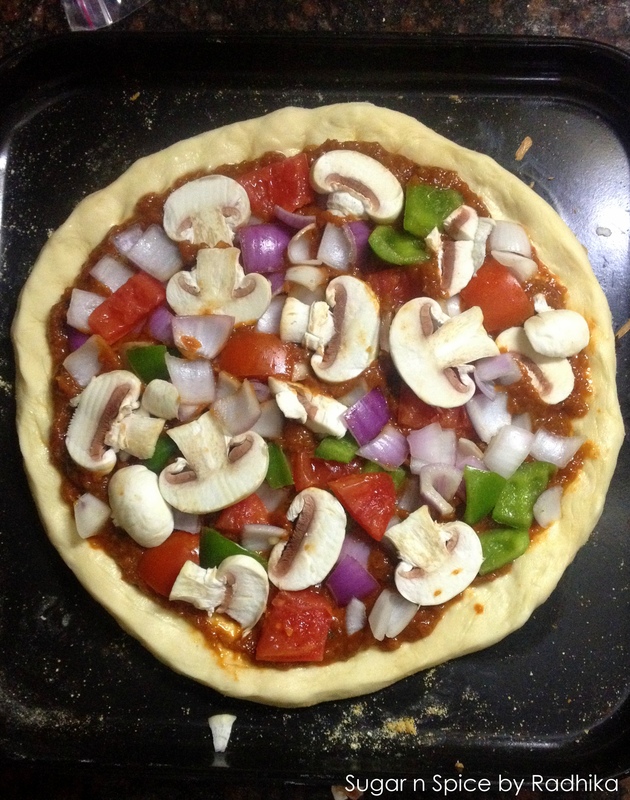 I also made the pizza sauce at home, you can make it too or just get one from the market if you aren’t feeling as enthusiastic as me! 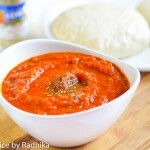 The sauce is pretty basic with tomatoes, onions, garlic and seasoning! It doesn’t even take a long, only 20 minutes and you can make it while your dough is resting. But if you’re pressed for time or are just plain lazy, buy a ready made one and use it. There is however no substitute for my homemade sauce, it is FABULOUS and makes all the difference to the pizza! *Make sure the water is lukewarm and not hot. If the water is too hot, it will kill the yeast, if its not too warn the yeast won’t wake up. It has to be just right. To make sure the water is the perfect temperature, warm it up and stick your finger in it. If you can keep your finger in the water comfortably then go ahead and add the yeast but if it feels hot to touch and you can’t hold your finger in the water for more than a few seconds, wait until it cools down a bit. **If you’re out of olive oil, you can use vegetable oil instead. 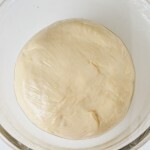 The first step in making the dough is proofing the yeast. If you’re using instant yeast you can skip this step. Pour the lukewarm water in a jar and add in 1/2 teaspoon of sugar, mix until the sugar dissolves. Once the sugar has dissolved, sprinkle yeast over it and stir vigorously until the yeast is somewhat dissolved. Cover the jar tightly with plastic wrap for 10 minutes and keep aside. After 10 minutes you will notice that the surface of the water will be foamy, this means the yeast is active and ready to be used. In a bowl, add in the flour, salt, olive oil, 1 tablespoon sugar and mix. Slowly add in the yeast water until you form a ball of dough. Toss the dough out on a floured surface and knead for 7-8 minutes or until the dough is springy to touch, meaning if you poke the dough it springs back slowly. If it doesn’t spring back, knead it until it does. 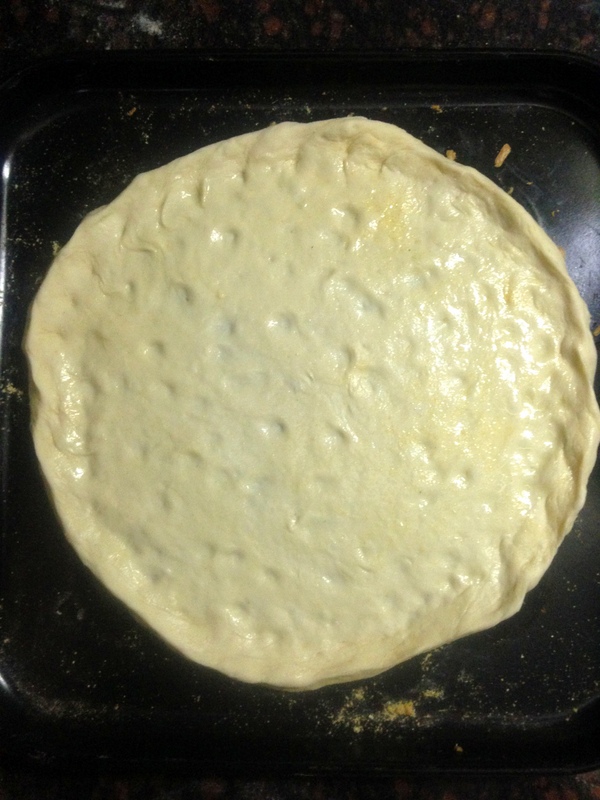 Lightly coat the dough with oil and place it in a large bowl lightly coated with oil too. Cover tightly with plastic wrap and let it sit in a warm place for 1-2 hours or until the dough doubles in size. 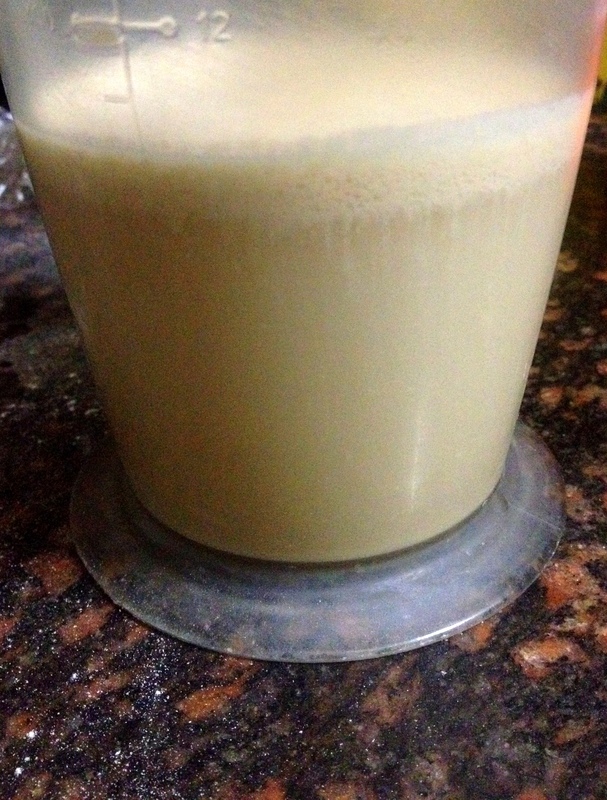 This time can vary depending upon the quality of the yeast used, mine took around 1 hour 20 minutes. If you can’t find a warm place to keep it in then simply preheat your oven to 200 degrees and keep the bowl in it until the dough doubles in size. Once the dough has doubled in size, punch it to release air. This is the part I wait for whenever I’m making yeasty dough. Divide the dough into two balls and place them in separate bowls, lightly covered for 10 minutes. At this point you can freeze the balls to be used later. Freezing and thawing details are given at the end of the post. After the 10 minutes are up, the dough is ready to be used. Sprinkle cornmeal on a kitchen surface and Simply flatten the ball out with a rolling pin until about 10-12 inches in diameter. If you prefer thicker pizzas, keep the diameter to 8 inches. 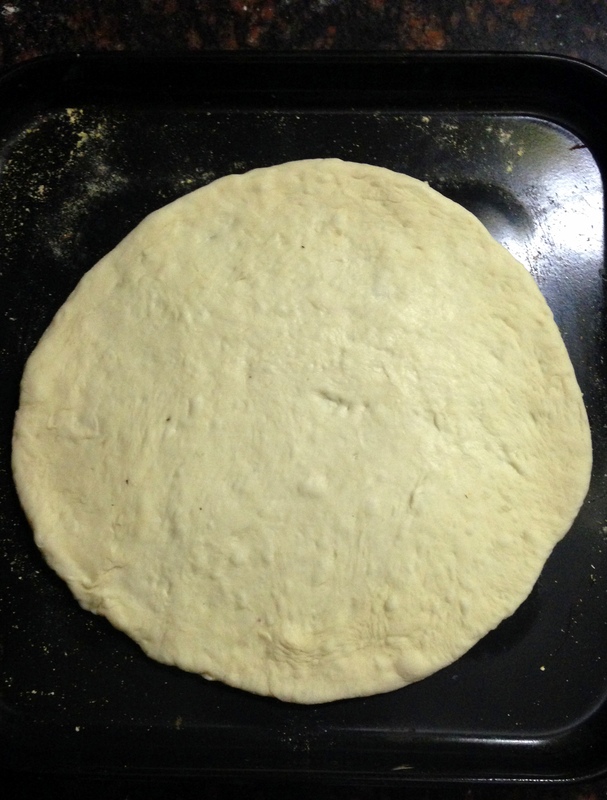 Once the dough is rolled out to your liking, pinch the sides to give it that lift. Brush a little olive oil all over the surface and poke the dough using your fingers to prevent bubbling and let it rest for 15 minutes before you apply the toppings. Sprinkle cornmeal on a baking tray and transfer the base to it. 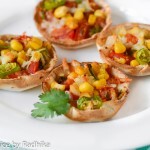 Once transferred, apply the pizza sauce and mount the flattened dough with vegetables and cheese. Bake at a preheated oven for 20-25 minutes at 180 degrees Celsius (or until the base has browned to your liking. If the edges don’t brown, you can baking an additional 5 minutes with only the top grill on. 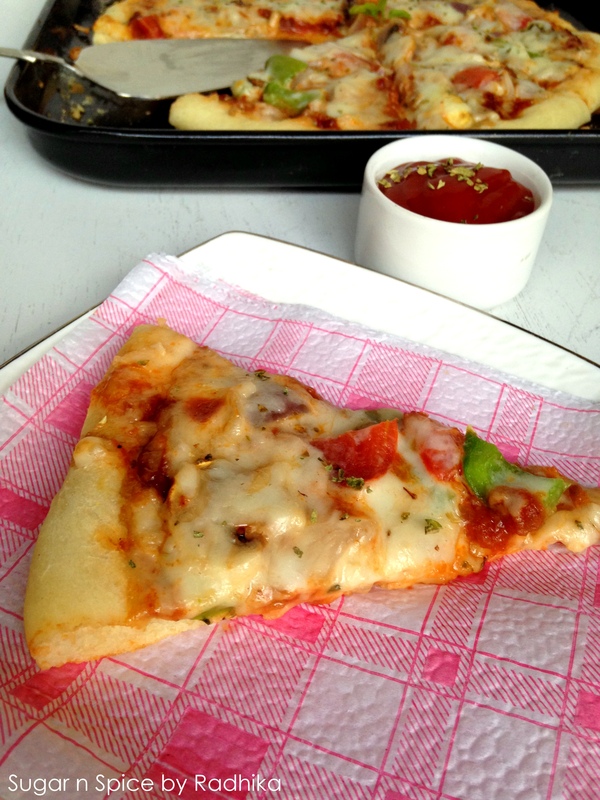 Transfer pizza to serving plate and serve hot! Thawing: When you’re ready to use the dough, Transfer the frozen dough ball bag from the freezer to the refrigerator and keep it there overnight or for 12 hours. When you’re ready to bake the pizza, place the dough outside on the kitchen counter 30 minutes before baking or until it reaches room temp. 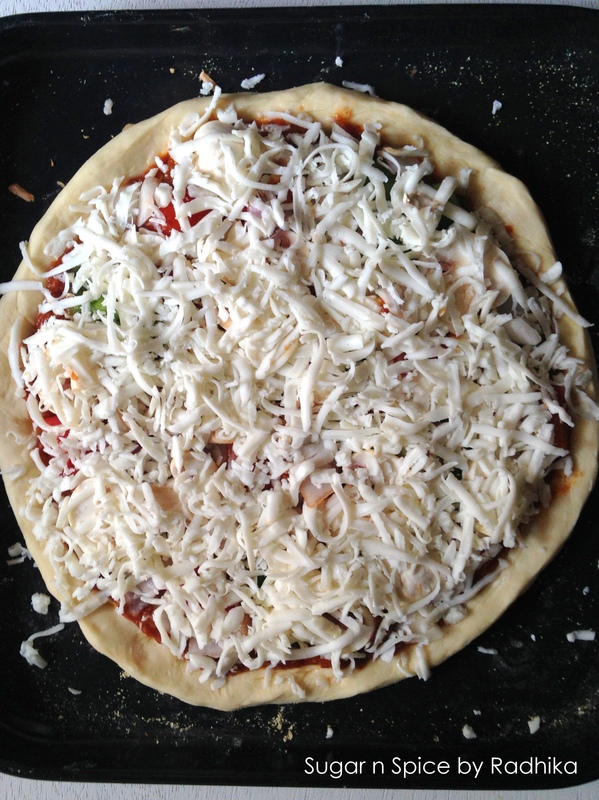 Continue with “To assemble the pizza”. The dough balls freezes well for 3 months. 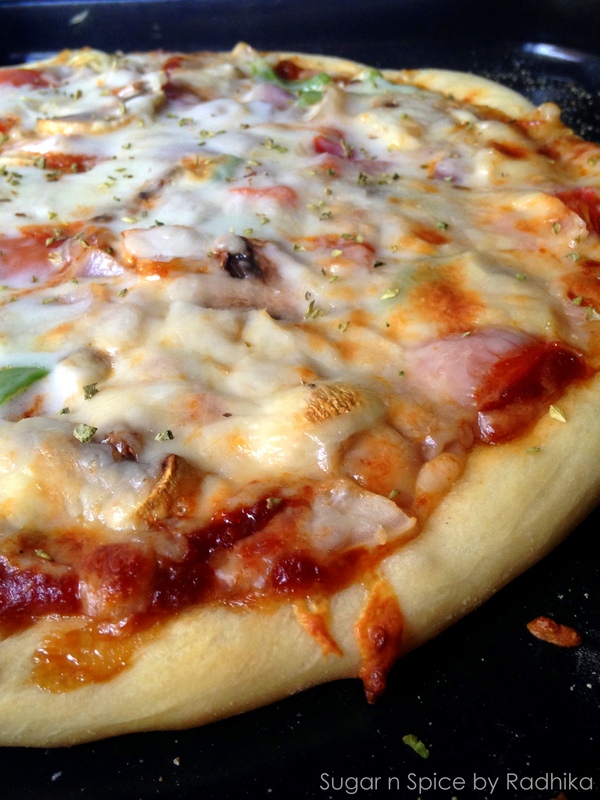 Mmm… We make pizza every Friday night. In fact, I’m just about ready to go make the dough! My family is with you! 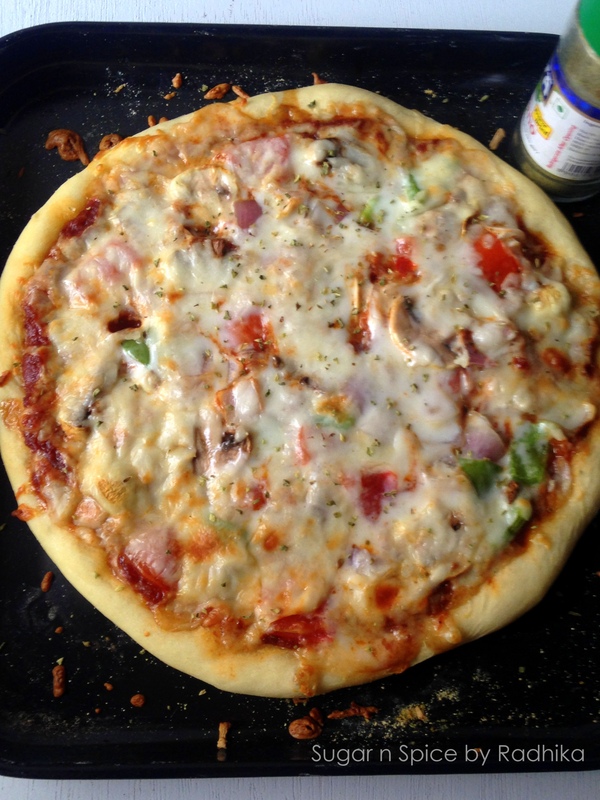 Homemade pizza is soooo much better than a pizza chain! Great post! Thank you Christa! I’m so bored of eating the same things from pizza chains and they’re so unhealthy! Although this pizza is not the definition of health it still is so much better than a commercially produced one! Thanks Elaine! This was my first time and I’m not going back now! It’s so easy! Great advice Elaine! Thanks !! 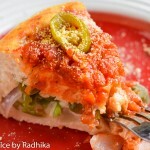 Hi radhika… This looks yummy… I usually make pizza’s at home ( desi pizza) . And your photos are just amazing….